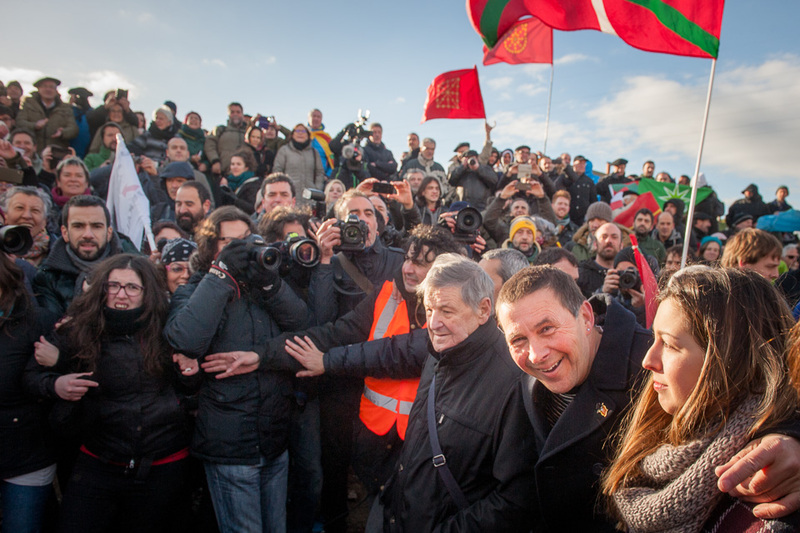 As Otegi said in his speech in Elgoibar, he is used to be released from prison. 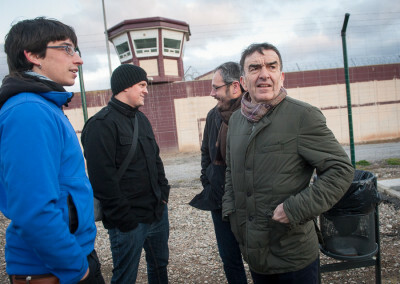 He is used to be released from prison because he has left prison 5 times. 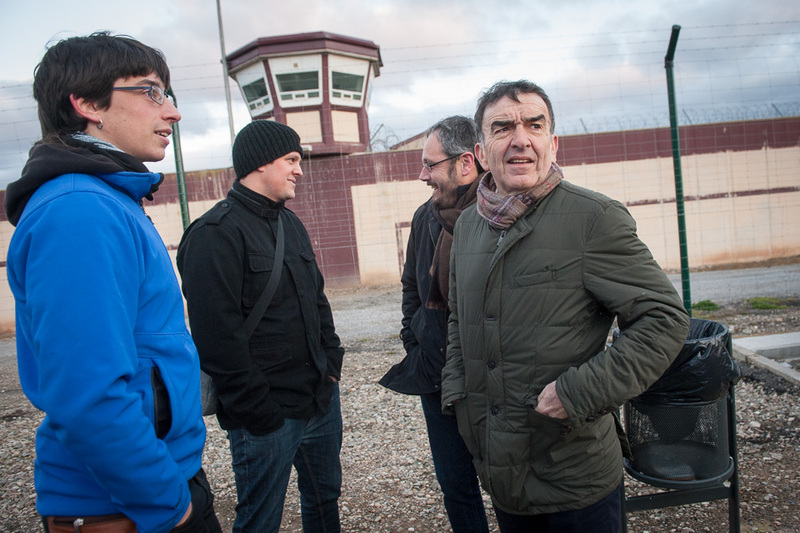 He has been released 5 times because he has bee imprisoned 5 times. 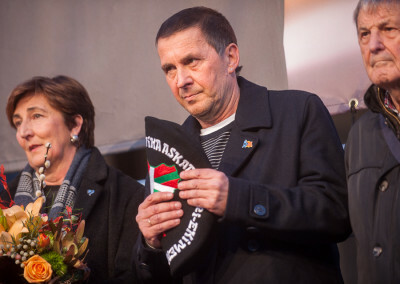 The first time he was imprisoned was in 1985 acused of belonging to the armed organization ETA and the last one was in 2009 when he was arrested during a secret meeting, acused of trying to rebuild an outlawed political party, despite that meeting played a key role leading to ETA’s permanent ceasefire. 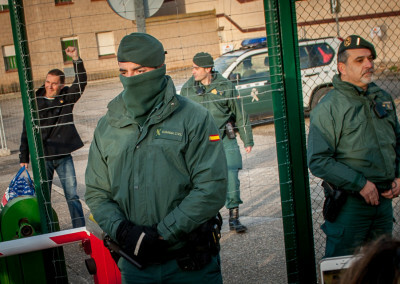 He has been imprisoned for the last 6 years and 4 months. 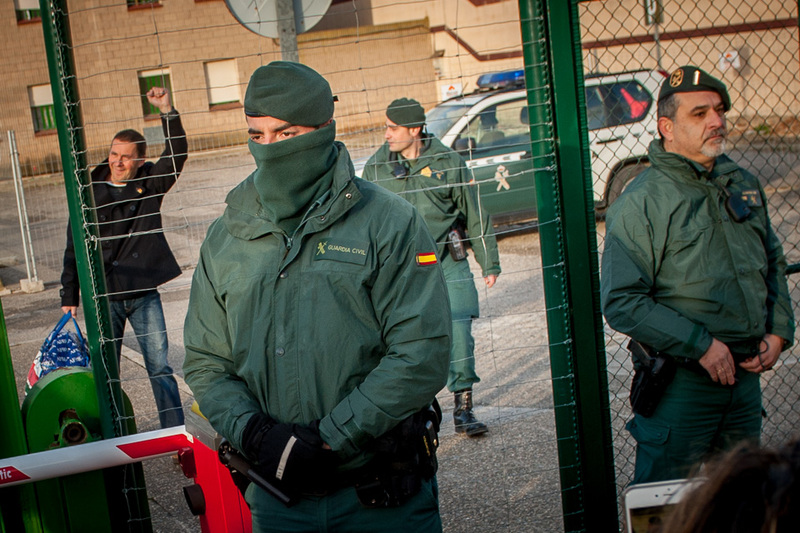 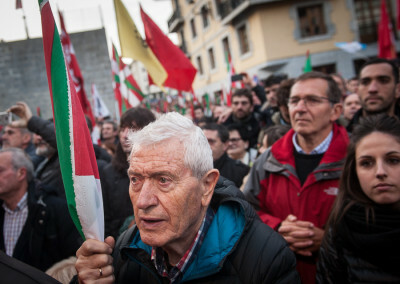 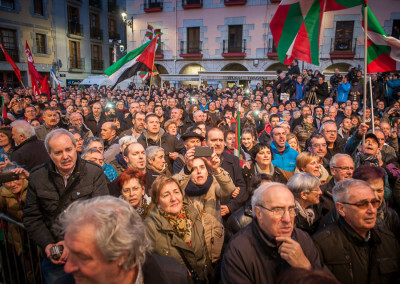 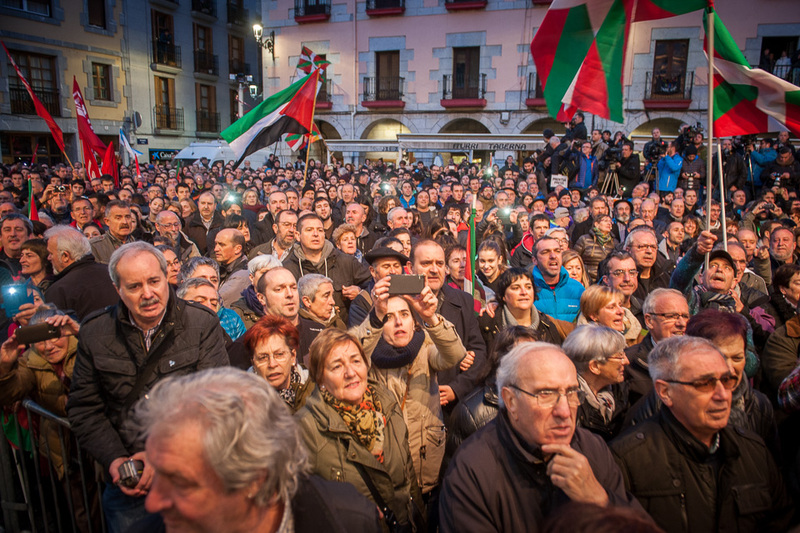 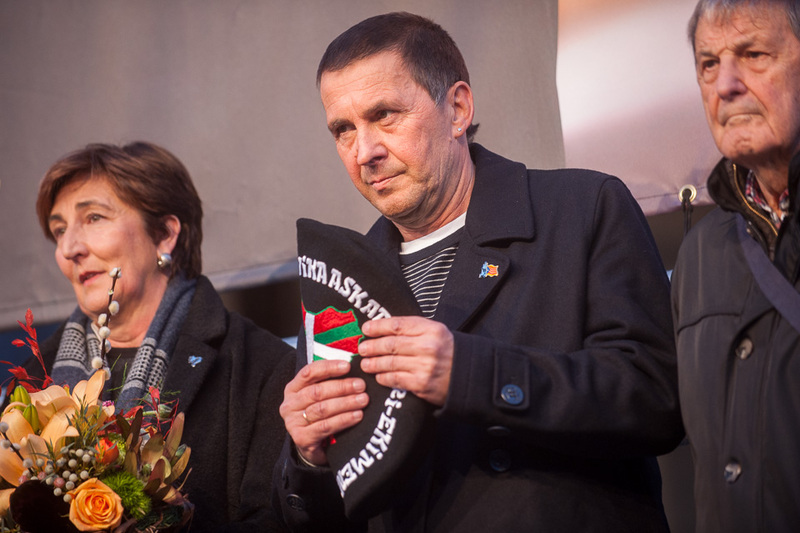 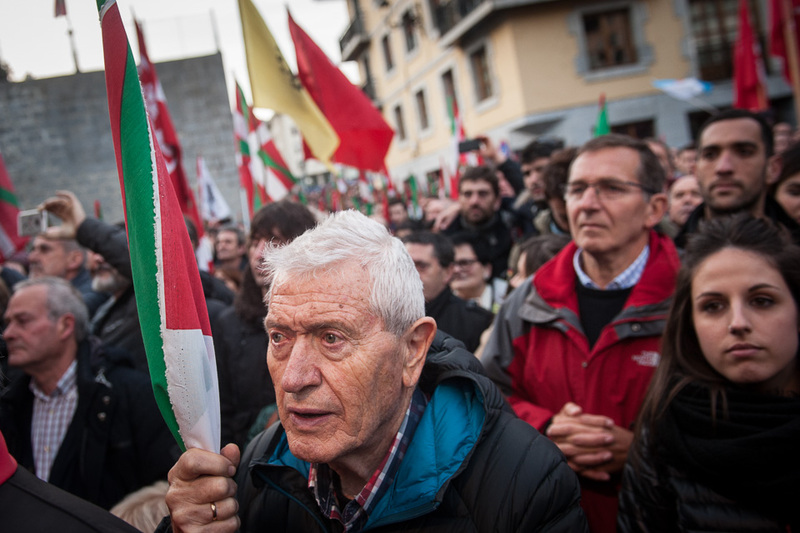 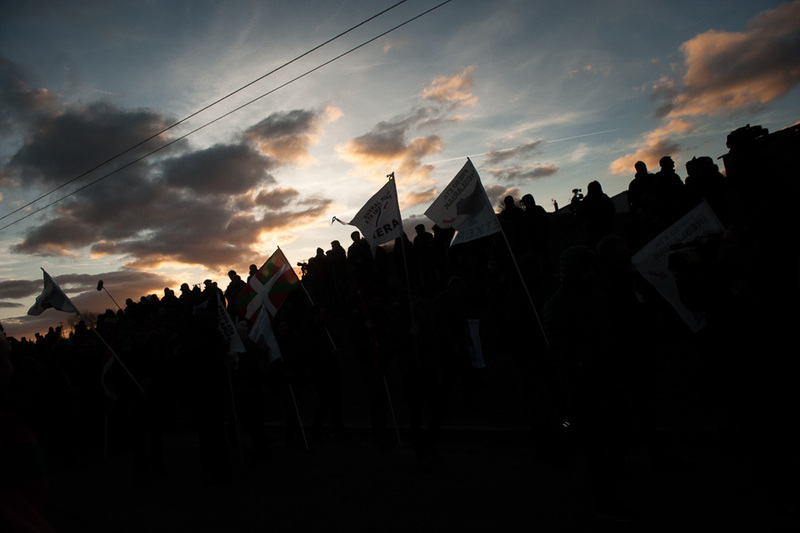 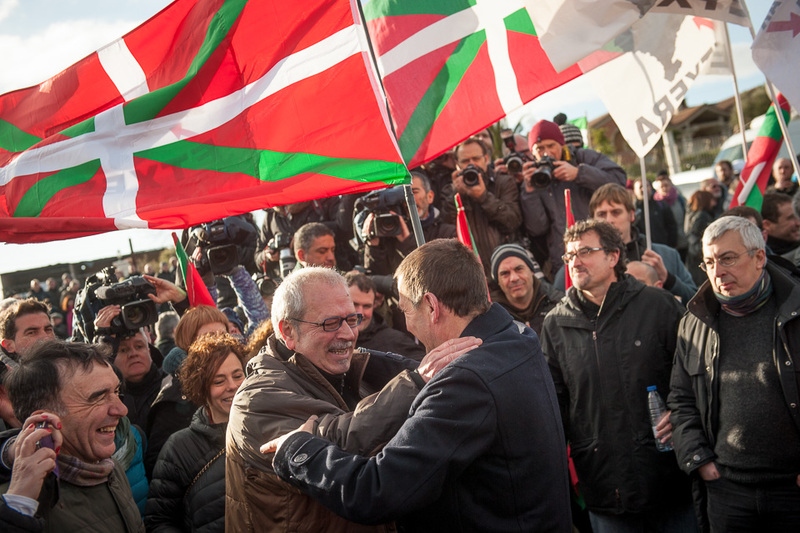 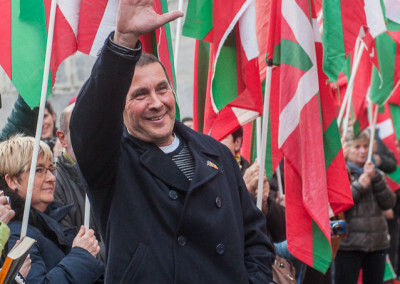 Otegi left Logroño penitentiary center on March 1, shortly before 9 a.m and walked from the prison gates where his family, friends and a crowd of supporters gathered waving Basque flags and shouting “Independence”and “Basque prisoners back on the streets”. 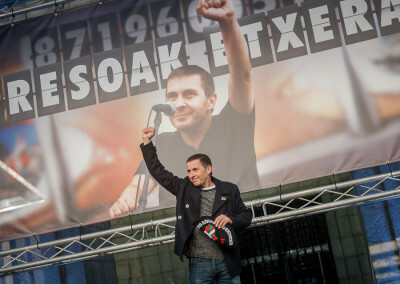 His release and first remarks as a free man were broadcast live on TV. Arnaldo Otegi received a special reception laid on for him in his home town of Elgoibar on Tuesday evening, where he spoke to the crowd gathered to welcome him. 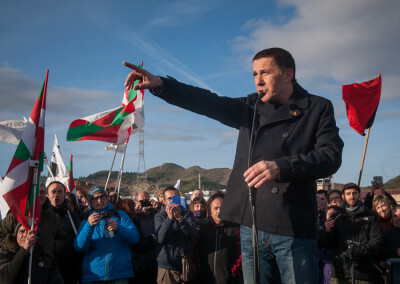 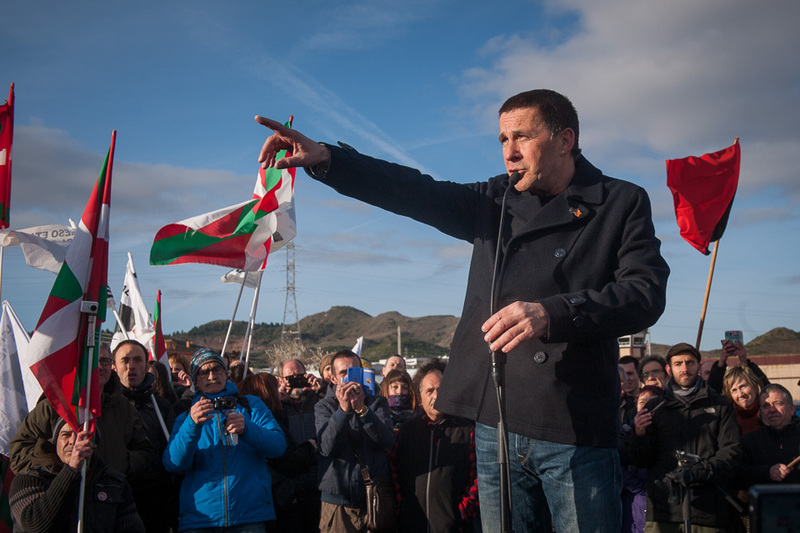 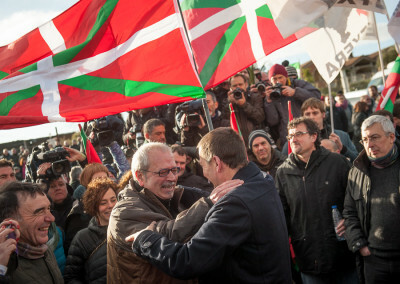 Otegi has been the major spokesman for the pro-independence movement, first in Herri Batasuna, later in Euskal Herritarrok and finally in Batasuna. 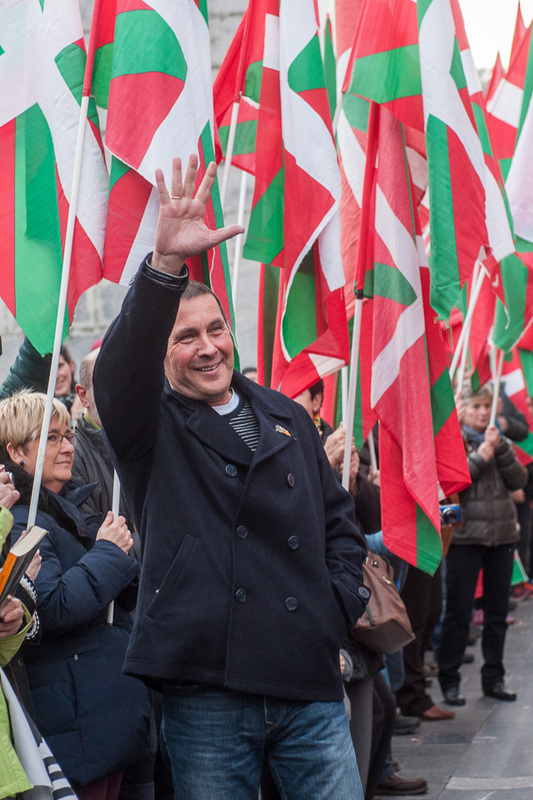 Nowadays he is the general secretary of Sortu, a new party created after those three ones were banned.